Charming cupcakes decorated to look like spring blooms! Preheat oven to 350°F. Line 24 medium muffin cups with paper baking cups; set aside. In a medium bowl, combine flour, baking powder, baking soda and salt; set aside. In a separate mixing bowl, cream shortening and sugar together until light and fluffy. Add egg whites, one at a time, beating well after each addition; add vanilla. Alternately add flour mixture and milk; combine well. Pour batter into prepared muffin cups, filling each about 2/3 full. Bake 20 to 23 minutes, or until toothpick inserted in center comes out clean. Remove from pan; cool on wire rack. Combine in a large bowl, with mixer at low speed, confectioners' sugar, butter, milk and vanilla. Beat at medium speed for 1 to 2 minutes, until creamy. If desired, add more milk until frosting is spreading consistency. Place 1 cup of white frosting in small bowl. Mix in a few drops of green food coloring until desired color is reached. Frost cupcakes with white frosting. Using scissors, cut each marshmallow crosswise into 4 pieces. Press cut edges of marshmallows in sprinkles or colored sugars. Place 5 marshmallow slices evenly around edge of each cupcake. 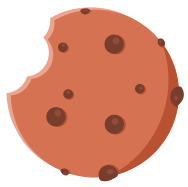 Top with a cookie. Using pastry bag with leaf tip, pipe green frosting between petals to form leaves. To color your own sugar, place 1/2 cup granulated sugar in a small container with a tight-fitting lid. Add 1 drop of liquid food coloring. Cover and shake well. Continue adding 1 or 2 more drops of food coloring at a time, shaking well after each addition, until desired color is achieved.